How do you handle stress Gemini? Do you get stressed out when people are being, well, kind of boring, or uninformed, or ...??? I'm sure you could add to the list. But it's really important to remember that you need to breathe and to try not to get mad. That anger will just compound your stress. Keep in mind that you really don't care for what you consider to be boring or lame and just breathe it out and move on. 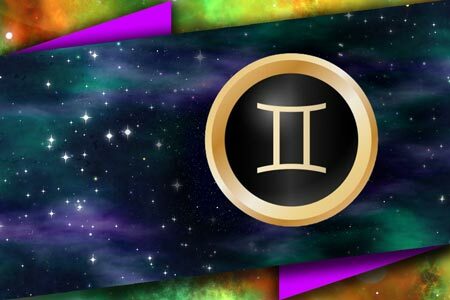 As a Gemini, you are energetic, passionate, and full of life. You have A LOT of energy! While lots of energy is not necessarily a bad thing, you do tend to find yourself getting carried away at times. But, the good news is all that energy lets you try new things and you've probably developed a lot of skills. Because of this fearless attitude that you have, you have probably landed in an artistic or creative field. If you haven't, perhaps it is time to look around for what sparks you instead of going on and on about what doesn't make you happy. If you are finding that you let your mind wander too far, get stressed pretty easy, misplace stuff - A LOT, or feel like you are out of your body, then Blue Kyanite can be an awesome crystal for you to work with. You will find it stabilizes a balance between spirituality and your daily life, provides a calming effect to your inner world of stirred up emotions and inner images. It can also encourage a pleasant and peaceful nature and liberate you from frustration and stress. 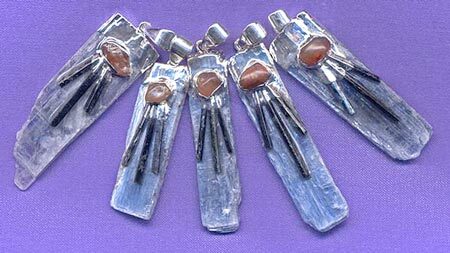 Blue Kyanite is one of the few healing gems which never needs cleaning or clearing on an energy level. It does not retain or accumulate negative energies or vibrations. It is very beneficial in aligning all the Chakras, and if directed consciously by its user can also open them when blocked or clogged up. You might also want to consider one of my Gemini Gemstone Kits. There is a Chrysocolla (encourage a self-awareness and balanced nature), a Citrine (fills the aura with light and clarity), a Moss Agate (helps to make spiritual knowledge conscious on earth plane levels), an Aquamarine (brings light heartedness and a happy and relaxed disposition), a clear Quartz (good for all Chakras and aids emotional stability) and a special birth date stone chosen just for you.